Ecuador literally has a little of everything, which is what makes it so unique compared to the rest of Latin America. At just over 175,000 square miles, Ecuador is approximately the size of Nevada or double the UK, and includes the famous Galapagos Islands. Built on the ruins of an Incan city, Quito is Ecuador’s capital city and a UNESCO World Heritage Site. Surrounded by volcanic peaks the huge city engulfs almost an entire valley, and despite its age offers visitors a surprisingly modern experience, as well as the classic ‘Old Quito’ experience. Quito isn’t the only Ecuadorian city of great beauty. 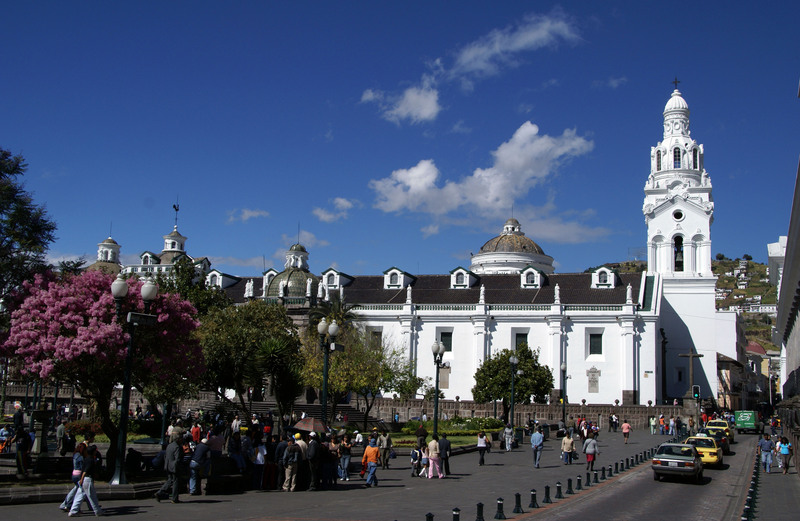 For every magnificent building in Quito, there is an equivalent further south, in the city of Cuenca. Extravagant colonial architecture, narrow cobbled streets, white washed walls and red-tile roofs are interspersed with picturesque plazas, elaborate churches and impressive monasteries. From volcanoes to rainforests and ocean to equator, Ecuador really does have it all. Because of its location, Ecuador manages to span four completely different worlds. Because of its size, it’s possible to see them all in one day. You can do anything to or go anywhere you want to relatively hassle free. The Andes form a spine like ridge, flanked by volcanoes, through the centre of Ecuador. Scuffing at the feet of the mountains is the Amazon rainforest, between them nearly every adventure activity is possible; hiking, kayaking or even shopping (you’ll need to take the mountain pass to the small market town of Otavalo for that one). Despite its many charms Ecuador is still avoided by major tourism and its trappings – meaning there’s still some adventure to be had there and it won’t cost the Earth. Good exchange rates don’t hurt either!